On September 22, 2017 at 04:30 p.m., in the terms of the international exhibition JATA Tourism EXPO Japan, a press conference of the Department of Sports and Tourism of the Moscow Government will take place on the theme «Travel potential of the city of Moscow». During the press conference, Alexei Tikhnenko, the Head of the Hotel Management Department of the Moscow Government, will tell in detail about the latest changes in the tourist environment of the capital, plans for the following years and about the opportunities that the city provides today. Today Moscow is quite popular among foreign tourists, including those from Asia. The city does not only know the wishes and requirements for the comfortable stay of such guests, but also knows how to accept them at a high level. The city already has a wide hotel and restaurant infrastructure, foreign visitors can easily travel around the city with the help of public modes of transport, both with the use of modern technologies and mobile applications. Today in the focus of the discussion is the attractiveness of Moscow in the world tourist market. The capital of Russia is among the top ten cities for travel in 2017 according to the Lonely Planet magazine. International and Russian rating agencies and expert communities highly appreciate the tourist, cultural and sporting potential of the city. More than 20 festivals are held every year in the capital: «Easter gift», «Moscow jam», «Gifts of nature», «International Festival of Fireworks», winter festival «Journey to Christmas», Victory Parade, international festival of incredible light shows and multimedia installations «Circle light», the historical festival «Times and Epochs» as an exhibition of achievements of world reconstruction, «Moscow Seasons», the famous festival of history and culture «Spasskaya Tower» in the Red Square, a breathtaking musical and theatrical presentation, competition of military orchestras from the whole world. Most of the sightseeing routes around Moscow, which include Tverskaya Street, Arbat, the Tretyakov Gallery, the Bolshoi Theater, the Moscow Conservatory, begin near the Red Square, the Kremlin-symbols of Moscow and Russia. There are popular weekend tours, which are designed for three days. And, finally, an important sporting event, to which Moscow is preparing for several years, is the 2018 FIFA World Cup. In Moscow, matches will be held at two stadiums «OtkritieArena» and «Luzhniki». In evening, Moscow is a cheerful and romantic city. For the guests of the city the most fashionable restaurants are available, as well you can find cozy bars and nightclubs, designed for every taste and purse. 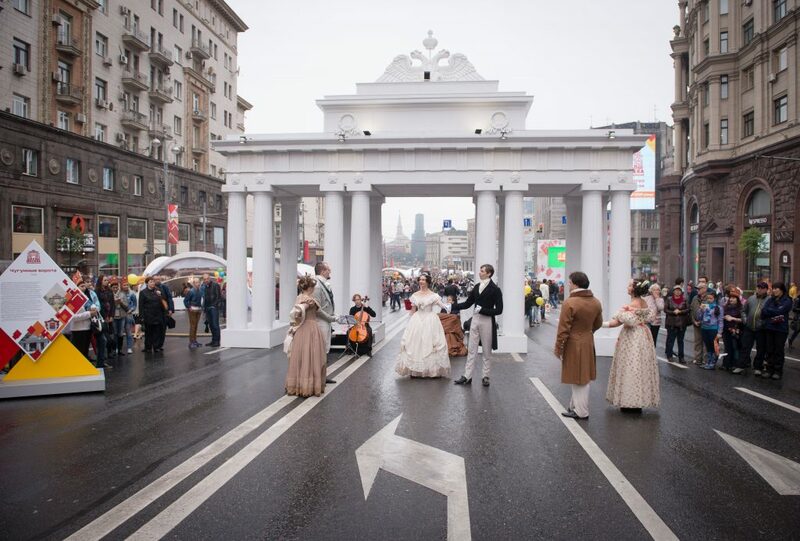 In recent years, Moscow is actively creating a new public space. As a result of the most extensive improvement of the city over the past 50 years, the capital will receive unique objects of the tourist display. To celebrate the City Day, the opening of the «Zaryadie» Park is timed, which, according to experts, can become a point of worldwide attraction of tourists. The new park will connect the pedestrian spaces of the city in the Old, New, Slavyanskaya squares and Lubyanka to a single group of routes, and create prerequisites for the formation of a group of cultural and educational tourism routes «The Kremlin Ring». All this and much more can be learned at the press conference. Time: 22 September, from 04:30 p.m. to 06:00 p.m. Accreditation for the event and filing applications for an exclusive interview with Alexei Tikhnenko as the Head of Hotel Management of the Moscow Government is conducted until 22 September 2017 inclusive, by e-mail: v.smailov@sea-company.com or by phone +7 926 528 19 92, contact person Vitaly Smailov.